So we’re finally down to our last Gear.Club strategy guide, so what else is there to learn about this game? We’ll tell you in a bit, but first, let’s give you the usual game overview to get everyone up to speed, especially those who have just downloaded the game. 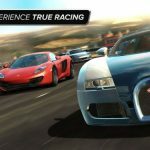 This is an iOS-only racing game from Eden Games, and it’s a complete racing experience with a wide range of cars, race tracks, race types, and upgrade options. 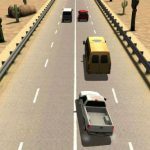 Eden claims the game is as realistic as a racing game could get, and while the tracks, as we mentioned last time, are fictional, the environments, car graphics, and car physics are quite impressive for a mobile racing game. The upgrades also appear to be more realistic than they are in your average racing game, and those upgrades are all done in the Performance Center. That’s essentially the equivalent of your garage, only it could hold a lot more cars and do a lot more things than you can probably do in your own home garage in the real world. So with that in mind, our new strategy guide will largely revolve around the Performance Center, and how you should manage it in hopes of improving your cars to the best of their capabilities. We’ll also be sharing a few non-Performance Center tips we may have missed out on in the previous Gear.Club strategy guides. 1. What Upgrades Should You Focus On First? The Performance Center allows you to upgrade your vehicles in a number of ways, and as we mentioned in our list of intermediate tips, you can go there to service your cars without having to quick-pay a few gold bars to get the job done. You will, for the most part, be going there for upgrades, which means installing new parts to replace the old ones you currently have. So what part upgrades should you prioritize? Are there any upgrades that have a bigger effect than others? As a backgrounder on what each upgrade does, upgrading your engine makes it more powerful, upgrading the gearbox allows you to shift faster, upgrading the tires improves handling, and upgrading the brakes allows for faster, timelier braking. If you want to improve your car’s overall rating and give yourself a better chance of winning more races, the engine should be prioritized first, followed by the gearbox. Still, it’s best to get the other upgrades caught up at some point, as it’s never a bad thing to have a car that’s dominant in as many areas as possible. Aside from your car upgrades, you should also make sure to upgrade the specific areas in the Performance Center. 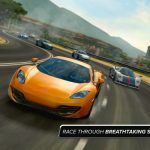 At some point, the game will force you to upgrade the area itself before moving on to the next part upgrade, and while that’s going to cost you some money, it’s also a necessary evil you need to deal with if you want to make your car more impressive and improve its chances of three-starring those races. Initial upgrades won’t take too long to be completed, but as your parts get better along with your car, you will have to wait progressively longer for the upgrades to finish and for your car to return to the racetracks. But there’s a way to speed up the process that doesn’t involve spending a single gold bar. From time to time, the game will ask you if you want to watch an advertisement video to rush upgrades or repairs. Click on the video icon, watch the quick clip, which takes about 30 seconds tops to complete, and return to the Performance Center with about half of the wait time chopped off. In addition, you can rush repairs and upgrades for free, but that’s only in the last 30 seconds before completion. The Performance Center lets you upgrade your engine and gearbox in one area, and your tires and brakes in another. There’s also a space for you to service your car, as well as a hiring center, which we’ll be discussing in the next tip. Then there’s also the prospect of adding more and more cars to your collection. All that adds up to a lot of space needed in your Performance Center, and once you come to think of it, the humble little center you start with won’t suffice when it comes to getting everything done. Once the opportunity arises and you can afford it, make sure that you’re regularly expanding your center and adding new features/areas. Some of them, such as the Paint Shop, might not sound all too essential as compared to the areas for upgrading and replacing parts, but creating these areas may count toward your missions and/or achievements. Completing those, as we explained, is a great way to earn more in-game currency, so expand that Performance Center and add those new areas. 5. Why Is The Hiring Center Important? As promised, we’ve got a tip devoted to the Hiring Center, which is one of the many individual centers you can set up in the main Performance Center. You’ll want to set it up the moment it becomes available, and Max will tell you as much in one of the tips she gives out later on in the game. The Hiring Center is important because you will eventually have more cars than one person/staff member can realistically maintain on his own. You’ll need multiple people working on multiple things, and if you’ve got a Hiring Center, you can add to your staff and get people to work in different capacities, allowing your Performance Center to multitask, in other words. Make sure you hire the best people your money can buy, though as a spoiler of sorts, one of the available workers is a perfect 100 in both his rebuilding and mechanic ratings, and he’s going to cost you an arm and a leg if you want his services. You’ve probably been wondering about this one for some time. Gear.Club has several car classes, and the races are always exclusive to their corresponding car class; you cannot enter your A2 Lotus Elise in an A1 race, while your A1 Chevrolet Camaro won’t be welcome in A2 or any of the other classes. Now there are multiple dealerships in the in-game map, all of them class-specific as well. Most of the cars can be purchased with cash, though the better ones can only be purchased via gold bars. 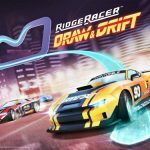 So far, we haven’t seen any Flash Event or any race championship where you could win a new car as a reward, but we can tell you that logging in for seven straight days will get you a sweet Dodge Challenger SRT for free as your first seventh-day prize. Keep on playing the game, or even log in without playing on a daily basis, and Gear.Club will be more than happy to give you rewards. Now about that Dodge Challenger SRT we talked about in the above tip – it’s a class B1 car. That means it’s much faster starting out than the cars available to you in the A-classes, but there is also a drawback to driving a car that belongs to a higher class. As we’ve observed, these cars tend to suffer from wear and tear faster, and also take longer/cost more to service and repair. More than a few times, we noticed the Challenger’s condition turning from green to yellow after just one race, as opposed to two races for the A-class cars. Still, if you’ve got a car in the servicing bay in your Performance Center, that shouldn’t be any bit of a worry to you. Make the most out of that downtime and switch to another car and another class. Or try out one of the Flash Events.